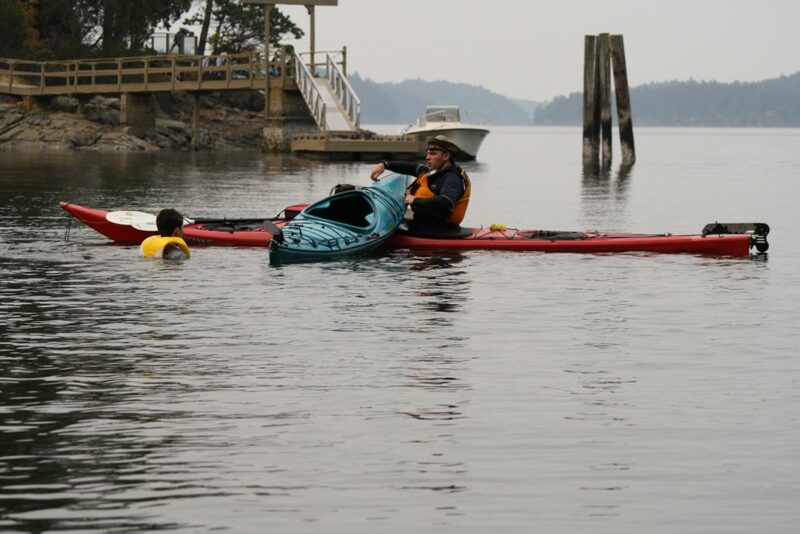 SEEC is a place based school on Saturna Island with students who board/sleep over three days a week. The focus is on environmental literacy and is taught both on/off the island with field trips and fieldwork. There is also some traditional classroom time too. Who is the SEEC year for? The ideal student is a self directed learner who is interested in exploring environmental issues, being outside and getting to know a community of learners outside of their comfort zone. What grades can attend SEEC? The credits offered at SEEC are based on the New BC Curriculum and are primarily geared towards a full year attendance of 8 courses in Grade 10/11 credits. Bruce Inglis is the principal, see below. Martin Anevich is the teacher, see below for contact details. What should students should be capable of doing? Students should be able to do a 5 km run, hike with a backpack for a week, chop wood and carry 40 lbs, be open to kayaking, snowshoeing, walking up steep unpaved terrain, etc. This is an outdoor education adventure program that requires mobility and a basic level of fitness. If you have any concerns, please let us know. How is food arranged?You should be able to cook your own food for three days, have flexible lunches that can be eaten anywhere, and be open to sharing and preparing meals for your peers. What are the living facilities like? Students will sleep in bunk beds with up to 5 other roommates in a dorm style cabin. 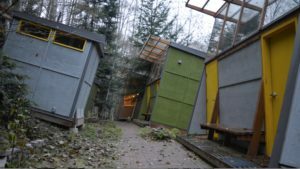 There is a common area with a wood stove for cooking, and shared bathroom with showers. Are there added costs for the program? There is an activity fee at the beginning of the year. However if you have financial difficulties, let us know as this program’s mission is to help you get outside. Saturna is home to about 150 year-round residents. It physically comprise 50% the Gulf Islands National Park and numerous community parks, beaches, and First-Nations Reserve. The program has access to the Saturna Communities various public spaces, buildings and the main Saturna Island School. SEEC’s living and learning facilities are located on school district leased land belonging to a local farm. Students are safe to walk and cycle the quiet roads. There is little worry about any crime or vandalism that larger communities may experience, as everyone know everybody on the island. 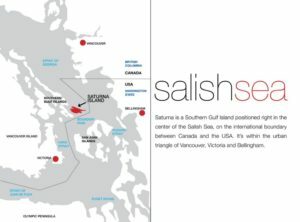 Saturna can be reached by travelling with BC Ferry service between Victoria or Vancouver on daily sailings, by float plane, and by water taxi from Salt Spring Island. Fill in the online form under the how to apply section of the website. This will hold you a potential spot. Acceptance is a balance between first come/first served with best suited/best served. Carefully consider the challenges and benefits of this full year program and accept. When is the ideal time to apply? Second semester is when we are actively seeking to have students over to visit the site and make up their minds. March – April is a great time to have applied. However, sometimes there is 1 or 2 spots still open after this. Apply anyways though: if you don’t get in, we will take this into account for the following year. Can you do community work experience at Saturna? It is expected that all students will participate in weekly service based learning. Engagements with members of the community could be working on a farm, helping an elderly person at theirhome, repairing the school bikes, or anything that needs to get done to enhance the school or the island on any given week.